Algal Blooms caused by pollution which has created disruption of the ecosystem have caused a horrible disaster in the ocean and rivers of this planet does anyone know a way to cure algae as algae is like a bacteria is there antibiotics for algae? In any case, nature bites back! Edited by VictorMedvil, 10 January 2019 - 06:49 AM. Pollution isn't the main cause in your first example, massive upriver water extraction for irrigation is. The Australian blooms were due to a state government selling a huge cotton farm (Cubbie Station) with a ridiculous amount of water storage licenses and the Federal government approved the sale to a foreign purchaser. That might be good and well in times of flood but when we have droughts the water that is stored does not flow through to two other states to get to Bass Strait. And please don't swallow all the crap that it was the current conservative government that did this. It was a green/labor coalition federally that approved the foreign purchase and a labor state government locally that bought the station, placing an ex labor state treasurer in charge prior to the sale, along with all of the massive water allocations just before the Murray Darling Basin plan was introduced by the current conservative federal government in 2014. Copper Sulfate is a very effective algaecide, but is toxic to fish in high enough concentrations. Under normal circumstances algae metabolize carbon dioxide and organic wastes and produce sugars and oxygen. When nitrogen levels get too high from fertilizer or untreated waste algae grows unchecked, and Algal Blooms in the form of a Red Tide that is toxic to fish (and everything else). Obviously widespread dispersion of Copper Sulfate is neither practical nor desirable, so the solution is to control the release of nitrogen into the water by wiser use of fertilizers and by eliminating human and animal waste discharges. Speaking for myself, I like a nice sandy beach, preferably with pink sand. The pink hue comes from the shells of foraminifera. I am not really sure. I didn't feel like digging through my photos and so I just pulled one up from the infrawebz. 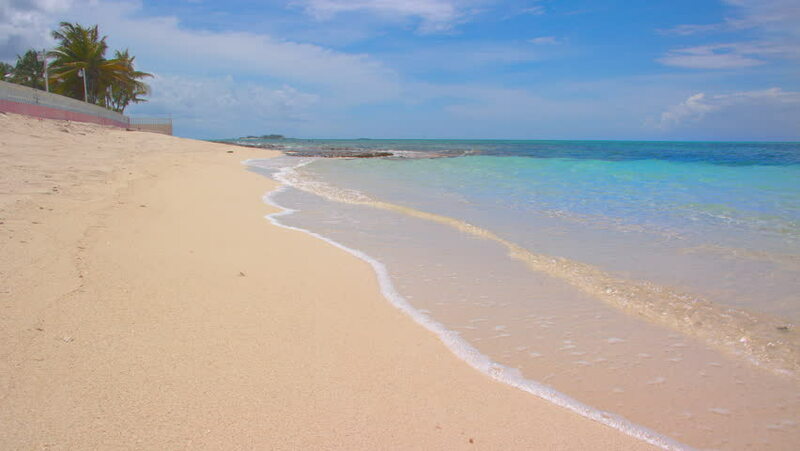 The shore line is too steep and rocky for the Bahamas or Florida, and the sand in Puerto Rico, Jamaica, and Quintano Roo (MX) is not that color. I haven't been to Bermuda yet. Edited by fahrquad, 20 February 2019 - 10:21 AM.